One of the many quirks about the iPad is its inability to play Flash, which include both streaming video and playing games made with Flash. In a white paper on the subject, Apple co-founder Steve Jobs wrote that Flash wasn't supported because it lacked full support for touch screens, it created security and performance issues, it ate into battery life and it created an extra layer between the developer and the operating system. Now that Adobe has dumped Flash for Mobile, it's safe to say we won't ever see official Flash support on the iPad, but that doesn't mean you can't get Flash to work. We'll look at a few ways to play Flash on the iPad. One common feature of these Flash-enabled web browsers is the way they stream content from a remote server. Instead of connecting directly to a website, these web browsers connect to a remote server, which then downloads the page from the original website. This server can then run the Flash program and send it back down to the iPad browser as a video stream. This can sometimes make interacting with Flash games or apps a little more difficult. Unfortunately, as the web has moved away from Flash as a standard, there are fewer and fewer apps built for running Flash on the iPad. 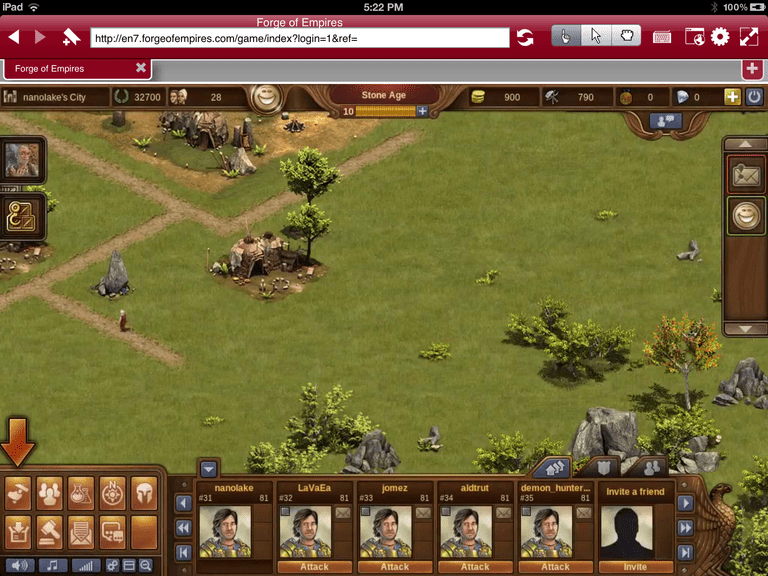 The Photon Browser is easily the best solution for playing Flash videos and games on the iPad. Photon is a full-fledged browser with all of the added features one would expect in a web browser, including tabbed web pages, fullscreen browsing, private browsing, anonymous browsing, bookmarks and the ability to print. But the main reason why people buy the Photon Browser is its ability to run Flash. This doesn't stop with just videos. The Photon Browser includes a number of settings to optimize the experience, such as separate Video and Game modes. A Flash game requires more scanning for input by the user and quicker refresh from the player, otherwise, the game can get choppy or laggy. The Photon Browser also allows you to use the on-screen keyboard for keyboard commands to the Flash app and to choose from different game controls. The Puffin Web Browser has both a free version (linked above) and a paid version, which removes the advertisements from the free version. Not only does it have support for playing Flash video and running Flash games, it gives you the choice of a virtual Trackpad or virtual Gamepad in order to better control those games. Unlike the Photon Browser, Puffin is a fairly good web browser. It is lightning quick with a strong user interface. Unfortunately, access to bookmarks is strangely hidden within the menu system instead of appearing on display on the main screen, which is enough for many users to run back to Safari. And if users need another reason to use another browser, it will be the advertisements, which can get annoying. Though the easy solution to that dilemma would be to purchase the paid version. While the other web browsers on this list work by downloading the web content to a remote server first before passing it down to the browser, Cloud Browse uses a hosted Firefox. This makes Cloud Browse okay for viewing Flash content, but not so great at actually interacting with it. At a price tag of $2.99, this service simply doesn't deliver enough features to warrant paying the price. If you need to do a lot of interacting with Flash or really want access to Flash Games, Photon Browser remains the best choice. If you want both good Flash support and a good Safari alternative, Puffin might be the best bet. With the fast adoption of HTML 5 standards, the need for Flash on mobile devices dwindles. This has caused some fairly good Flash web browsers like Skyfire to disappear from the app store. These good browsers have been replaced by apps claiming to provide Flash support that may not live up to expectations. Some of these work by having you host a browser on your PC, using that browser to cache the web page for the mobile browser. Because web browsers can sometimes deal with sensitive information, it is best to keep to this list if you absolutely must have a browser with Flash support.